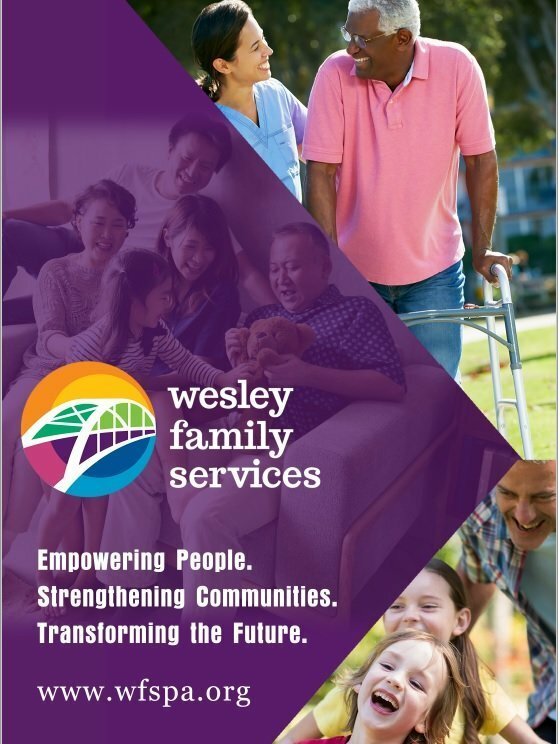 Wesley Spectrum and Family Services, two non-profits serving Southwestern Pennsylvania, merged in the summer of 2017 to form Wesley Family Services. The organization expanded to over 60 programs, but like many non-profits the combined firm had limited resources. It also needed to rebrand itself reflecting its updated mission and the newly formed organization. With a large amount of work ahead, the Marketing Team considered several options and other printers that both companies previously used to successfully implement their print needs. Wesley needed a print partner that would provide guidance on branding best practices, ask important questions, be responsive and provide high quality materials. Wesley Family Services also sought ways that its team could save precious time. After goals were developed and the rebranded materials were designed, Print Tech set Wesley Family Services up with an online collateral portal that enabled all selected employees to order custom business cards and stationery. Casey Nowicki who is charge of marketing and events at Wesley noted that the new portal saves her team considerable time as the distributed offices can manage their own print ordering. Casey says that Print Tech is having a meaningful impact on Wesley’s marketing efficiency and effectiveness.